5 Step Info Session: Learn about the 5 Steps to Rapid Employment workshop that will transform your job search into a job campaign and become employed in half the time! Ready, Set, Go! Do you have the knowledge, skills, and abilities to put your business idea into action? Let’s find out! Individuals will take a self-employment business assessment to identify strengths and weaknesses in four business areas – general business knowledge, marketing, finance/operations, and legal/business organizational structure. Assessment results will be used to create a customized plan for you to become a successful business owner. You Can Do It! Computer Basics: A basic hands-on computer class for beginners. The presentation introduces keyboarding; setting up and using email; searching the internet; saving documents and more! Walk-in Resume Critique: FREE 10 minute review of formatting and content by a Certified Professional RésuméWriter. Bring in a typed copy of your résumé. If the résumé is on a flash drive, you may want to bring it so you can make your changes right away on our computers! Same day sign up available at our Front Desk or by calling 410-386-2820. Walk-in customers are prioritized as first-come, first-served. Reemployment Workshop: This workshop covers the emotional and practical sides of unemployment in addition to offering motivational tips to get your job search re-energized. Pre-registration is required for this workshop. Make connections, meet prospective employers and and skilled employees, and explore job opportunities in Carroll County. Learn about the 5 Steps to Rapid Employment™ 2 week workshop that will transform your job search into a job campaign and become employed in half the time! Learn ways to be more successful in your job search in today’s economy. Includes best strategies, networking, social media and more. Basic Resume Preparation Learn to develop a resume. Includes format suggestions and current trends. Resume Clinic This is a hands-on “lab” for those who want to create a resume. Participants must have basic computer skills; also must have attended “Basic Resume Preparation” or bring a written draft. Suggest bringing a flash drive. Customizing Your Resume Learn techniques to target your resume to fit the jobs you are applying for. Learn tips to help you become more successful during the interview process. Video clips of interviews with the discussion are included. Use the computer lab to FIND JOB LEADS, USE LINKEDIN or work on your RESUME while an instructor is present. Learn to use the computer mouse and keyboard; and how to set up and manage an email account in a stress-free environment. Includes instruction and hands-on learning. Join other job seekers in a networking group and share ideas, information, and job leads. Basic LinkedIn This workshop is designed to introduce you to LinkedIn as a tool to use in your job search. You will learn the basic purpose, major uses and value of this form of social media. The class will include information and examples of how to set up a basic profile and conduct network searches. It will consist of mini-lecture, group discussion and hands-on activities using our computers. Computer seating is limited to 11 participants. Advanced registration is required, and late arrivals will not be permitted. PREREQUISITE: a current email account and basic knowledge of computer/internet use. Advanced LinkedIn This class is for those who have already set up a LinkedIn account and a profile. You will be guided through the best methods for using this website for job searching. The class includes a mini-lecture, demonstration and opportunity for hands-on practice. Computer seating is limited to 11 participants. LinkedIn Lab BERC is offering a new opportunity for customers who have previously attended a LinkedIn Workshop at the center. The LinkedIn Lab is a one-hour time period for job seekers who would like to apply their knowledge of LinkedIn by using our Computer Lab to do their social networking. Whether you want to create or enhance your Profile, participate in Discussions, Research and Connect with people in your network or Apply for Jobs, this session allows for hands-on work while an instructor is present to troubleshoot and give guidance. Computer seating is limited to 11 participants. PREREQUISITE: Basic or Advanced LinkedIn Workshop. Come and learn about the variety of strategies for finding information about when and where jobs are available. In this interactive session, we’ll describe the Hidden Job Market, explore the nitty gritties of Networking, and how the Internet does and does NOT help you to find job leads. Explore your money values and habits and learn how to create manageable financial goals. Develop your spending plan to keep your money! This workshop is designed for 16-24 year olds, where we will provide young people with appropriate skills to enter the workforce through education and life skills training. Do you have the knowledge, skills, and abilities to put your business idea into action? Let’s find out! Individuals will take a self-employment business assessment to identify strengths and weaknesses in four business areas – general business knowledge, marketing, finance/operations, and legal/business organizational structure. Assessment results will be used to create a customized resources plan for you to become a successful business owner. Seating is limited to 11 participants. A member of the Outreach Team at the Maryland Department of Housing & Community Development will have information on foreclosure prevention, affordable rental housing and first-time home buying (once you are back in the workforce)! Designed for anyone who is concerned their “older age” is a barrier to their job search. 2. 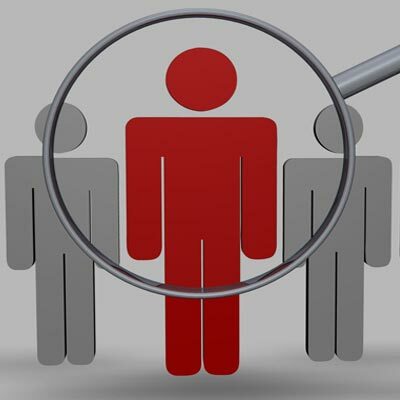 Job seeker concerns, including qualifications, appearance and current job search tools. 3. The Generational divide (between boomers, generation X, and millennials). 4. How to address these concerns and demonstrate the employers’ return on their Investment (in YOU)! Ageism research and assessments will be offered. Come and participate in this lively discussion! Senior Community Service Employment Program Rep.
Meet with a representative from the Senior Community Service Employment Program to learn if you qualify for a program focused on serving 55 or older job seekers who meet certain eligibility requirements. SCSEP provides paid temporary assignments with local non-profit and government organizations. Do you need assistance with entering job contacts in the Reemployment Exchange (REX) Module for Unemployment Insurance (UI)? **Veterans and eligible spouses will be given priority of service. ACCESSIBILITY NOTICE: The Americans with Disabilities Act applies to the Carroll County Government and its programs, services, activities, and facilities. Anyone requiring an auxiliary aid or service for effective communication or who has a complaint should contact The Department of Citizen Services, 410.386.3600 or 1.888.302.8978 or MD Relay 7-1-1/1.800.735.2258 as soon as possible but no later than 72 hours before the scheduled event. Carroll County Business & Employment Resource Center is an equal opportunity employer/program; discrimination in WIOA Title I financially assisted programs or activities is prohibited by federal law; auxiliary aids and services are available upon request to individuals with disabilities.